By Scott Gilfoid: Sam Eggington (23-4, 15 KOs) will step in to replace injured former IBF welterweight champion Kell Brook against junior middleweight contender Brandon Cook (20-1, 13 KOs) on July 28 in the co-feature bout on the Dillian Whyte vs. Joseph Parker card on Sky Box Office at the O2 Arena in London, England. Brook suffered an ankle injury and had to pull out of the Cook fight. Brook’s promoter Eddie Hearn wanted to give him a slight step up from his last over-matched opponent Sergey Rabchenko, who he demolished in 2 rounds last March. Cook, 32, was seen as a slight step up, not a major step up in class for Brook, which means it would have been another mismatch. However, Cook might be more than good enough to beat Eggington, who is like a punching bag with the way he plods forward taking heavy shots from his opponents. Cook being rated at #4 by the World Boxing Organization and #9 WBA at 154 suggests that he’s going to be a real handful for Eggington. Hopefully, Hearn knows what he’s doing in throwing Eggington in with Cook, because this fight could quickly get out of hand on July 28. This is a big step up for the 24-year-old Eggington to be taking on a top contender like Cook. Eggington, who takes a lot of punishment in his fights, has only had two fights at 154 since moving up to the weight class last April following a 12 round split decision defeat at the hands of Mohamd Mimoune in October 2017. It became too difficult for the 5’11” Eggington to continue to melt down to147 to fight smaller guys, so he finally was forced to move up to 154 to face guys his own size. This means that Eggington will no longer be able to impose his size like he was doing against the smaller welterweights that he was fighting. He’ll now be fighting guys as big as him with more punching power and boxing skills. That’s bad news for Eggington’s career, but what can he do? If Eggington can’t make weight at 147 any longer, then he has no other choice but to fight at his natural weight against guys his own size. Some boxing fans saw Eggington as a weight bully in the past when he would melt down to 147 to fight smaller guys like Paulie Malignaggi, who he retired after stepping him in the 8th round last year in March. You can argue the only decent welterweight that Eggington fought during his five years in the division is Bradley Skeete, and he lost to him by a 12 round unanimous decision in March 2016. In Eggington’s first two fights at 154, he’s beaten Achilles Szabo (24-19, 13 KOs) of Hungary by a 2nd round knockout last April, and Peter Kramer (8-1-1, 5 KOs) by a 4th round knockout last June. This will be Eggington’s third fight at 154. Well, if Eggington easily blasts Cook out, it’s going to make his promoter Hearn look bad because he wanted to match Brook against him. Hearn believes that Brook can win world titles at 154, and he previously saw him as the best fighter at 147 until Errol Spence Jr. straightened out that confused notion by making him quit on one knee in the 11th last year in Sheffield, UK. If a limited fighter like Eggington can beat Cook with ease, it’s going to reflect badly on Hearn and on the WBA and WBO for him being rated in the top 10 by them. not like Eggington is going to beat any of the world champions in the 154 lb. weight class. I’ve got to be real. I don’t ike Eggington’s chances of beating even some of the top contenders at junior middleweight like Erislandy Lara, Erickson Lubin, Julian ‘J-Rock’ Williams, Tony Harrison, Austin Trout and Maciej Sulecki. I see all of those fighters beating Eggington with ease. The champions at 154, Jermell Charlo, Jarrett Hurd and Jaime Munguia, would likely destroy a Eggington. It wouldn’t be pretty, I hate to say it. “He’s ranked highly in three governing bodies, so getting a win against him would do me wonders. Moving up to super-welterweight has given me even more energy to grind down my opponents and do damage late,” Eggington said. Eggington’s claim to fame is beating an over-the-hill Malignaggi in stopping him in the 8th round in their fight last year in March 2017 at the O2 Arena. Malignaggi isn’t known for being a puncher, but he had Eggington buzzed at one point in the fight after catching him with a nice shot. It stands to reason if a fighter as shot and as weak as Malignaggi was able to hurt Eggington, then Cook will have a very good chance of knocking him clean out if he catches him with some of his best shots. The thing that Eggington has going for him is Cook isn’t a puncher. He has more power than Malignaggi, which isn’t saying much, but he doesn’t have major power. We don’t know whether Cook will be able to stand up and brawl with Eggington for the duration. Cook’s only career loss came at the hands of Kanat Islam in losing by a 9th round knockout in September 2017. That was Cook’s one step up fight in his seven-year pro career and it didn’t work out too well for him. Cook traveled to Kazakhstan to fight Islam in his home country in that fight. Cook will be a visitor again when he travels to the UK to fight Eggington in front of his fans. Hopefully, Cook gets a fair shake when it comes to the scoring for the fight if it goes to the scorecards. It would have been better for Cook had he fought Brook, as there’s a lot more upside for him in beating him than there will be in defeating a limited fighter like Eggington. There’s no gain for Cook in destroying Eggington, because it’s already been done. 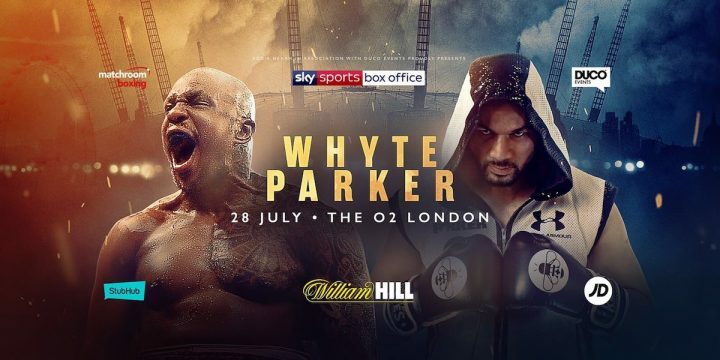 In other undercard action on the card, former heavyweight world title challengers Dereck Chisora and Carlos Takam will be faing each other, as well as welterweight project Conor Benn will be facing journeyman Cedric Peynuad in a rematch.